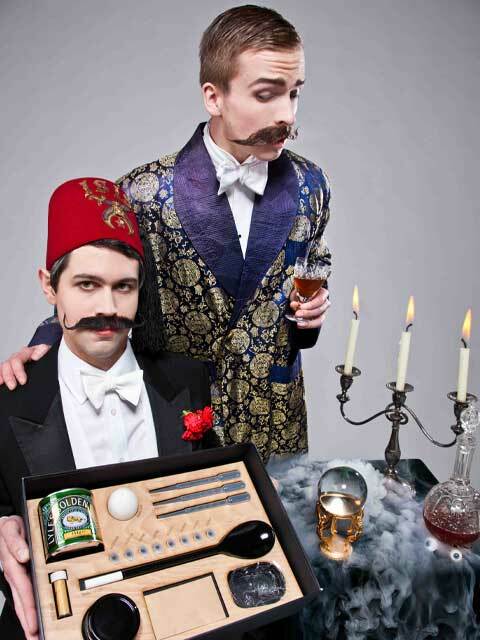 Only three years after the launch of Bompas & Parr: Jellymongers, co-founder Sam Bompass talks about his jello start-up success with other co-founder Harry Parr, and the pivotal steps within the last few years that put them on the map of all-things-cool-to-try-out. Not bad for a couple of London blokes who were just looking to find a weekend hobby, right? Although you wouldn't know it with all the calculated gimmicks that've made them the talk of town since the jello-mongers' birth. Have a watch at Bompass's interview below. Plus, check out their magic show extravaganza video below after the jump. To learn more about about Bompas & Parr, check out our profile piece: HERE.